A highlight video is our greatest art piece. We stitch together all of the main events along with all the details that you work so hard to have, and tell your story in a movie like form. It may last from 3-12 minuets. Depending on the couple and how their personality is and the requests mentioned is how we make the highlight. What is featured in the highlight film? 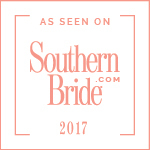 We feature the getting ready shots of the bride and groom, the drone footage, details, speeches/toast, ceremony events, dances, bouquet/garter, first look, first touch, father first look, love story clips, love letters, gift exchange. We can feature as much or as little as you want. why is there such a big gap within how long a highlight film can be? Every wedding is different.If you choose to exclude a lot of the things mentioned above it will make your highlight film shorter, if you allow us to get our creative juices going and give us a variety to work with it will enhance and make your video longer. Purchasing a love story will add a lot of length to your highlight film. What is the difference between a highlight film and a linear documentary edit? As mentioned a highlight film is a short cinematic video that is meant to recap your day. A linear documentary edit is the "Typical Wedding video" It is a lot longer than the highlight and contains all the footage in chronological order, edited using all the cameras with smooth transition. You may request to view one before booking Click here to request. Whats the difference between linear documentary edit and raw footage? Raw footage is the unedited, unprocessed footage that we take. A lot of companies will sell them or include them in your package; unfortunately we don't believing in selling or including raw footage. Instead we choose to take all our unedited footage and stream together into another beautiful video using different angels, and giving you the best shots possible! I mean would you expect your photographer that you're paying so much money to give you unedited or unretouched images? Apart from taking the time to give you a wedding edit to remember, since we film in 4k quality raw footage usually weighs around 300-500 GBS per wedding. It would not be able to fit on a USB nor would your everyday computer be able to handle or view it, making it unseen. why don't you post documentary films? Since, we feature all of the events of your day, documentary films contain all non-copyrighted music, which could eventually lead to them being taken down due to copyright infringement and us getting in a lot of trouble with the law, which is something we would want to avoid. Documentary films are the long videos which mean they tend to range around (30-90 mins) would you want a whole bunch of strangers watching your most intimate moments for that long? We'd prefer you keep those intimate memories for yourself and family. Do you edit your videos yourself? One of the things that makes us so special is that we do all editing in home. When we sit down to make your video we actually think about you. What would they like? What kind of music best suites them? By doing the editing in house and not sending it to some stranger who doesn't know you. We are able to craft a more personal video. Do we get to choose our music? Building trust is one of the most important things we aim to do. So when we tell you that we want you to trust to choose the best song for your highlight film, you may freak out. There are many reasons why we choose the music, but it's mainly because of the copyright licensing with music. Since, we purchase each and every song that we feature in our highlights we feel that it's part of our job; to be able to choose the song that I can create the mood/movie you hired us to do. Even if you absolutely hate the song we choose we do offer 1 free revision to make up and fix your dislikings. what if I don't like my highlight video? We are very confident when we say we are still to have a client that did not like their end product. We are a husband and wife duo and we do everything in house. That means we do get to know you on a pretty deep level. We ask you a whole bunch a questions in our questionnaire to figure out what you like and customize everything to your wants and needs. If you would like a copy of our questionnaire you may request one. Click here to request a questionnaire. If you absolutely hate it we do offer 1 free revision where you can share your thoughts about the song choice, scenes featured, mood of the video and so on. We will be more than happy to enlighten why we did certain things and come to a happy medium. How does our Free revision work? what can we do with it? After we have delivered your highlight film in a private link and you have confirmed that you have seen it. You have 24 hours to get back to us on your thoughts about it. As you may know weddings are spontaneous and anything can happen when we film and create your highlight film a lot of factors come into play when editing. After your thoughts have been shared, whether it was music selection, certain shots, etc...We have a phone conversation and discuss why certain things were done, and find a why to satisfy you. How long does it take to receive my videos? Our turn around time is within 8-12 weeks. 12 weeks being it was a crazy wedding season or something personal has happened to us such as sickness, death, family emergency where we had to take a momentary break. In the event that we do need some extra time we do let you know. When we begin to edit your videos we reach out and let you know that we have started editing them and give a rough estimate to when it will be done. Depending if revisions are needed it may take a little longer to get the full product. It helps clear the air away from jitters, and helps you understand how we work, so on your wedding day you are ready to film for your movie. Want to step out of the traditional route?You can turn your footage into a save the date video for an additional small fee. It serves as back up footage, again weddings are unpredictable it may rain, it may be extremely hot, you may run late. In the event that we weren't able to get footage of the both of you on your wedding day, we are able to replace those footage with ones taken prior thus equating for the loss footage. It creates depth to your highlight film and adds time. It prevents you from purchasing a mandatory one, in the event on your wedding day we have no footage of you both.